Please note, each student must be pre-registered in their own name to guarantee a spot. If you buy a workshop pass for a friend, please email us with their full name so we ensure they are booked into the class. If you experience discomfort in your body it can be easy to turn to solutions we don't always feel good about. Foam rolling, self massage, aromatherapy and restorative yoga can help ease your pain and revitalize your energy. In this workshop, Dan Carter will create a custom self-massage oil for each student and lead the class through two hours of these healing practices. Students will leave knowing how to use these practices in micro-doses or how they can follow up on a larger practice. This workshop costs $35; $30 for members and includes a personalized oil. Members please email Kelly for your coupon code. Stretch into yoga heaven with self-massage techniques, hand-on adjustments, and juicy yoga poses. Join Emma Silverman and guest assistants for this incredible opportunity to experience the healing powers of touch. We will enjoy warm-ups, gentle flow, and restorative yoga accompanied by assists throughout. Get assisted into bliss! This workshop costs $30, $25 for members. Members please email Kelly for the coupon code. 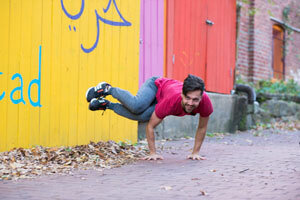 Challenged by arm balances? Looking to learn some new ones? Come to this workshop to learn the fundamentals of successful arm balancing. You'll learn how to tap into your core, distribute your weight and use balance to liberate these challenging asanas. The workshop costs $30; $25 for members. Members, please email Kelly for the coupon code to apply your discount. In this quarterly class, with Nichole Ferrigno we examine Yogic and self-care practices practices to help us transition with the seasons. Summer's energy is full of abundance, expansion and play; explore movement that is also playful yet cooling as an antidote to summer's extreme heat. 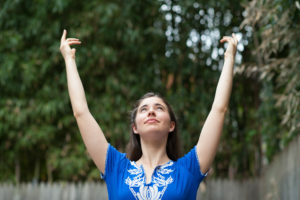 Classes will blend physical movement, breath work, meditation and discussion. This class is the same price as a regular drop-in so feel free to sign up like you always do.